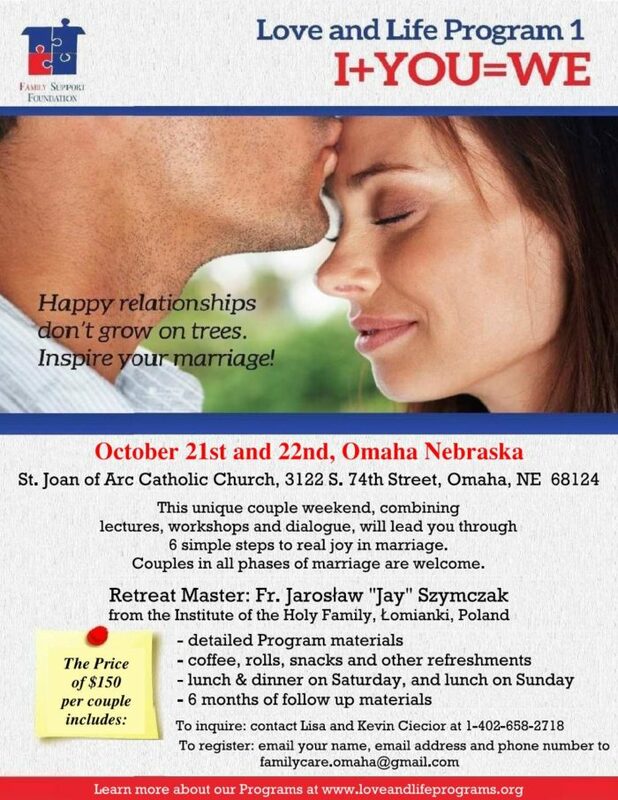 We are pleased to invite you to Program 1: I+YOU=WE in Omaha, Nebraska, USA, which will be presented by Fr. Jarosław “Jay” Szymczak and local Coach Team on March 25-26, 2017. 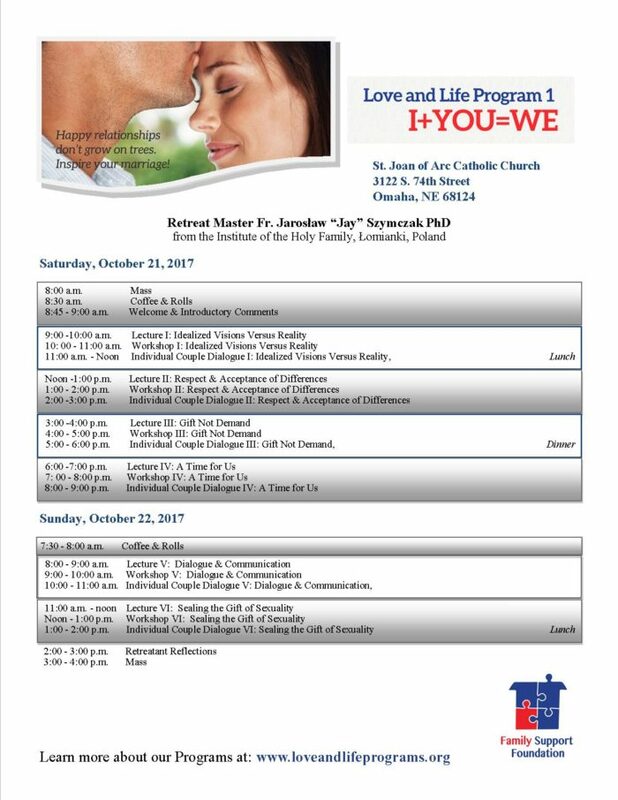 All details for contact are listed on the poster. YO+TU=NOSOTROS ¡Siempre hay lugar para ser más felices y más plenos! © 2019 Copyright Family Support Fundation.